December 15th, 2017. 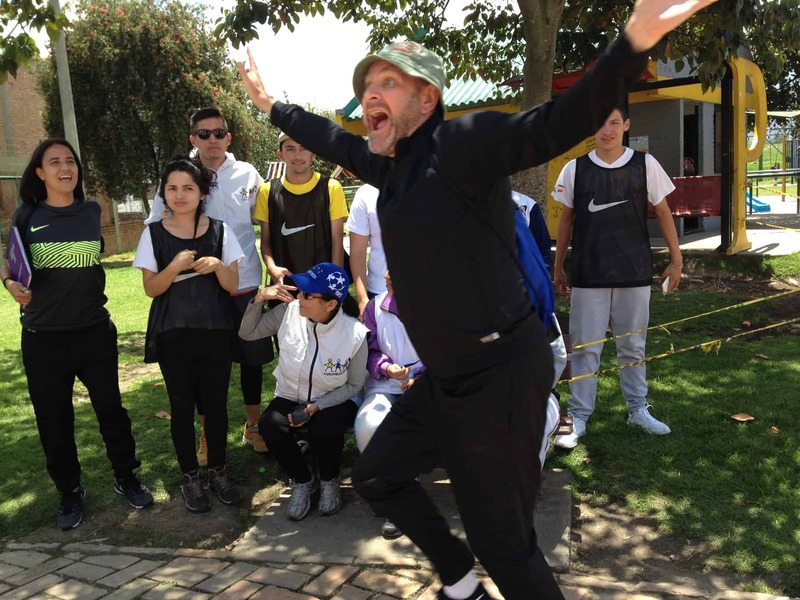 Nora Dooley writes about delivering ASK for Choice programs in Colombia with Community Partner Inder Alcaldía de Medellín, alongside Corporate Partners Nike, Postobón, GIZ, and Groupo Internacional de Paz, to close out a strong year working across the country for the rights of women and girls. I treasure this moment of reflection. Four years after beginning my work with Coaches Across Continents, five years after graduating from Columbia University, I have spent more time in one country than any other: Colombia. Working with CAC as a facilitator necessitates humility and a unique acceptance of the unknown. With our intention to challenge international NGO culture that designs development programs based on foreign knowledge of best practices (which can also be called white supremacy/ neo-colonialism), we must enter each community assuming and imposing nothing. 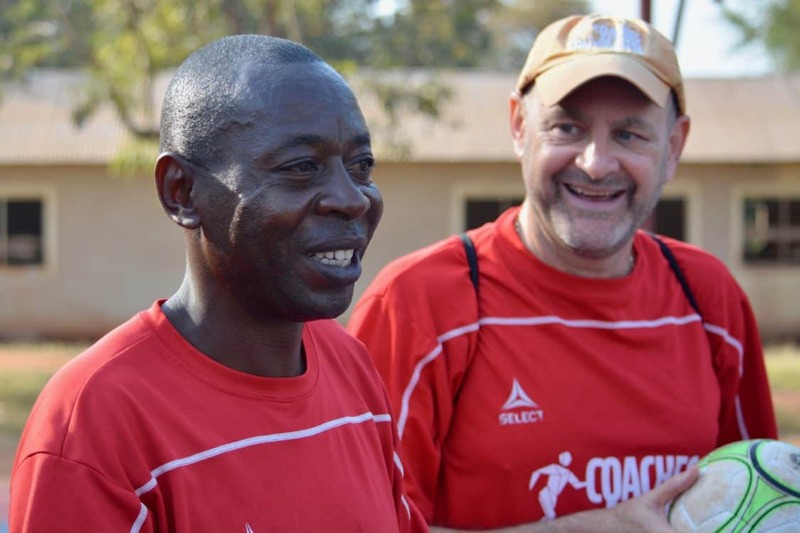 Our job is to provide some structure through fun, play-based activities that stimulate group discussion, self-directed learning and collective problem-solving, and to support our partners as they create legacies for the social changes they want to see. As little as I claim to know about this world, I can share some experiences – many of which I have enjoyed in Colombia with a faction of the large government organization, Inder Medellín. Colombia is complicated. And even knowing more people and more facts about this country than most others, my U.S.-raised brain cannot imagine the depths of this complexity. I feel so fortunate, therefore, to have various and continuous opportunities to share time and space with Colombians invested in their community’s future. Our work in Colombia throughout 2017 was bolstered by the social responsibility efforts of Nike and Postobón. This programming, centered on our ASK for Choice program which uses play to develop Attitudes, Skills and Knowledge to inform choices for women, men, and communities, caught some welcome attention. We spent a week north of Bogotá sharing with the GIZ sponsored program in collaboration with CAC partner, Grupo Internacional de Paz, and then returned to Medellín to learn more alongside humans I am lucky to call friends at Inder. 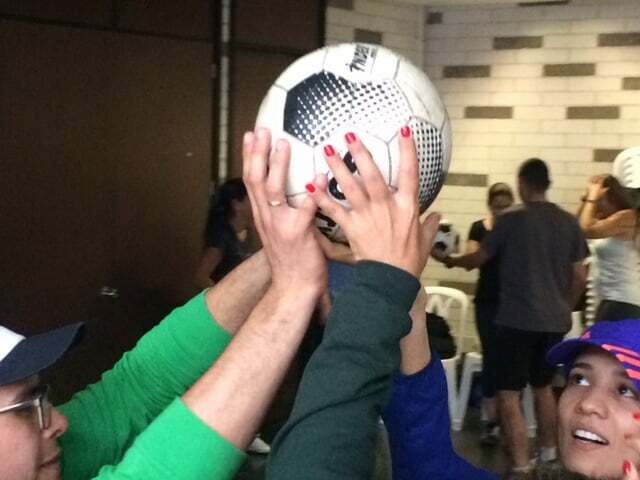 During this training with representatives from Inder’s ‘Deporte, Convivencia y Paz’ and ‘Cultura D’ teams, we focused on gender, problem-solving, game adaptation and creation, challenging and transforming the cultures we want to change, and the vast possibilities available inside the lines of the sports field to address all that lives beyond it. I feel so grateful for CAC’s strong partnership with Inder, for my Paisa family, and for the experience (and wisdom?) to know – at least in my life – that it most definitely is Colombia, not Columbia. April 26, 2017. 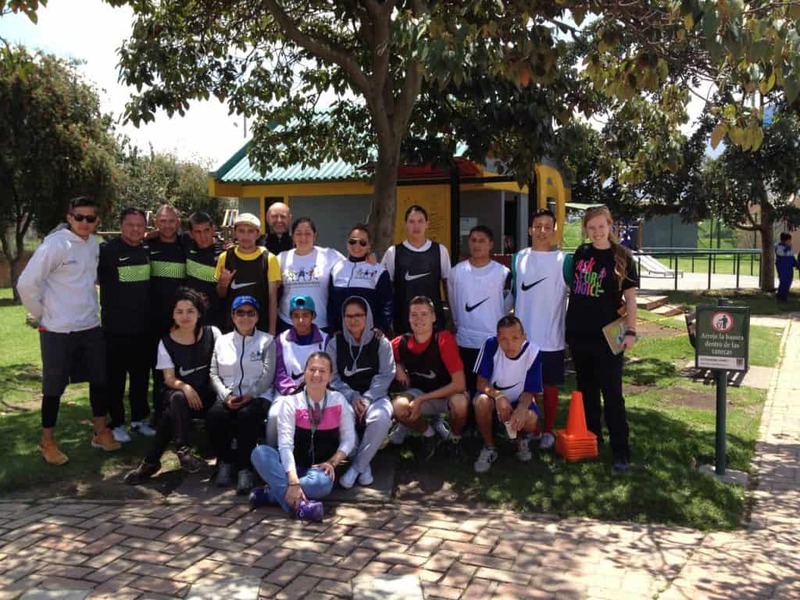 Community Impact Coach, Lina Restrepo, shares thoughts about the first On-Field training of our Nike and Postobón partnership in Bogotá, Colombia – this one with Colombianitos in Ciudad Bolívar. Lina has participated in CAC programs for several years as part of our partnership with Inder Medellín. En ciudad bolívar se resaltan frecuentemente historias de violencias a través de los medios, vías de comunicación que reproducen constantemente mensajes cargados de estereotipos con adolescentes, delincuentes, abuso de sustancias, hurtos, discapacidad cognitiva, entre otros; y compartir con personas de Bogotá, Francia, Inglaterra, estados unidos y Medellín en este lugar, me hace vivenciar diversidad cultural, componente necesario para la reconstrucción del tejido social en Colombia y en diferentes lugares del mundo con una situación similar. En algunos momentos llega la pregunta ¿Qué tiene Colombia, que se hace invisible para los colombianos y tan llamativo para los extranjeros? En esta primera experiencia en un hostal, compartí el cuarto con una persona que venía desde Holanda a trabajar como voluntaria por tres meses para estudiar las aguas del Lago Tota, el cual mencionaba como un recurso fundamental del ecosistema no sólo para Colombia sino para el planeta entero. Este es un ejemplo del interés en el territorio colombiano de personas de otros lugares que reconocen en nosotros cualidades y potencialidades que por momentos dejamos de ver y vienen a recordárnoslo. 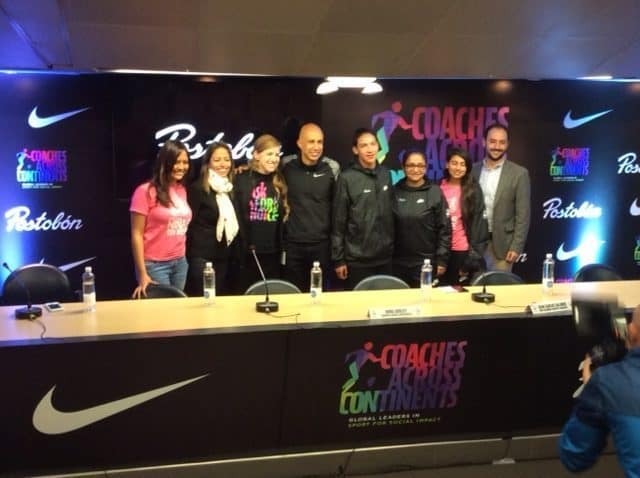 Dentro de las personas participantes al entrenamiento resalto los entrenadores (con experiencia en el fútbol profesional colombiano) y deportistas (jóvenes y adultos, líderes de cambio de diferentes fundaciones en Colombia, que hacen uso del deporte y la recreación como herramienta de transformación social. Agradezco a CAC los espacios de Juegos y Diálogos alrededor de conceptos de equidad, igualdad, género, cultura, fenómenos, violencias, problemas, problemáticas entre otros. Se amplía pues, la caja de herramientas al recibir los currículos de CAC y ASK for choice con una variedad de juegos por compartir. In Ciudad Bolívar stories of violence frequently emerge through the media, manners of communication that constantly reproduce messages charged with stereotypes about adolescents, delincuants, substance abuse, theft, mental disability, among others; and to share with people in Bogotá, France, England, USA, and Medellín in this place, allows me to experience cultural diversity, a necessary component for the reconstruction of the social fabric in Colombia and in different places in the world with a similar situation. In some moments the question arrives: What is it about Colombia that makes it invisible to Colombians and so attractive to foreigners? In this first experience in a hostel, I shared the room with a person who came from Holland to work as a volunteer for three months to study the waters of Lake Tota, that which was mentioned as a fundamental resource of the ecosystem not only for Colombia but for the entire planet. This is an example of the interest in the Colombian territory of people from other places that recognize in us qualities and potential that we, at times, stop seeing and they come to remind us. 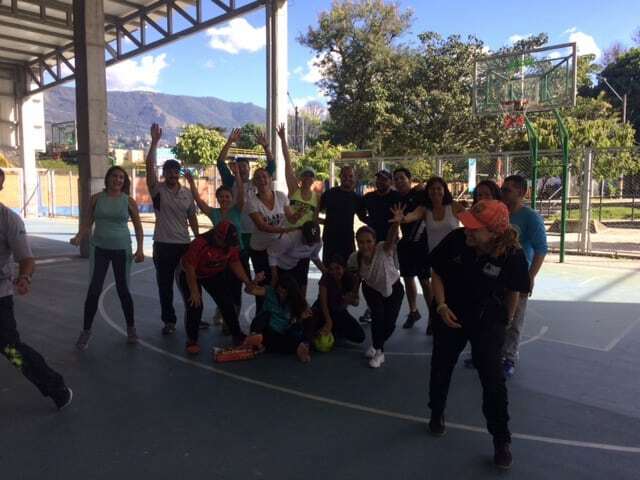 Among the participating people in the training were coaches (with experience in Colombian professional football) and sports people (youth and adults); leaders of change from different foundations in Colombia that make use of sport and recreation as a tool for social transformation. I am grateful to CAC for the spaces of games and dialogue around concepts of equity, equality, gender, culture, phenomenons, violence, problems, and issues, among others. The toolbox expands upon receiving the CAC and ASK for Choice curricula with the variety of games to share.